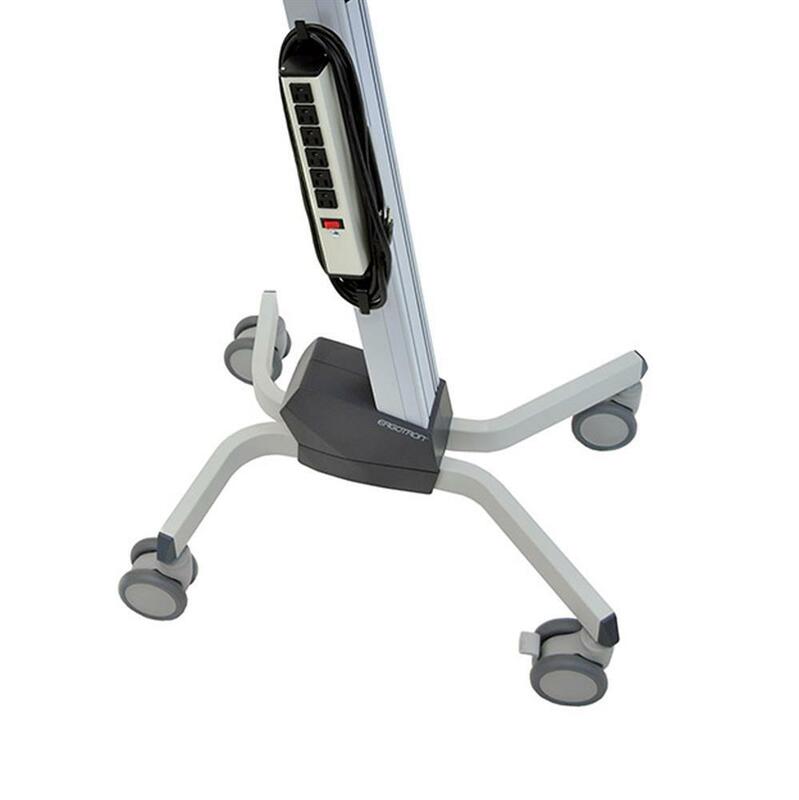 See more at: https://www.ergotron.com/en-us/products/product-details/24-206#/ & https://www.ergodirect.com/16319-ergotron-24-206-214-neo-flex-lcd-cart.html - for more info, videomercials and better pictures! 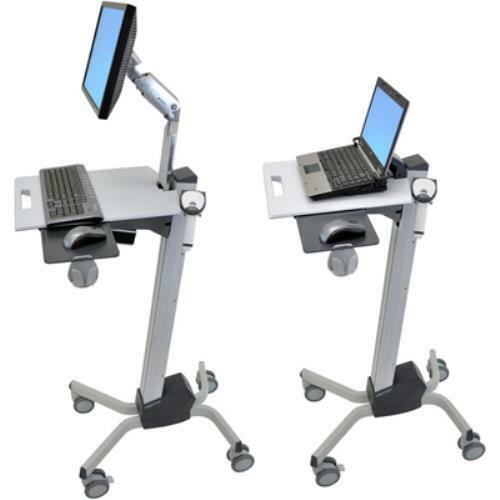 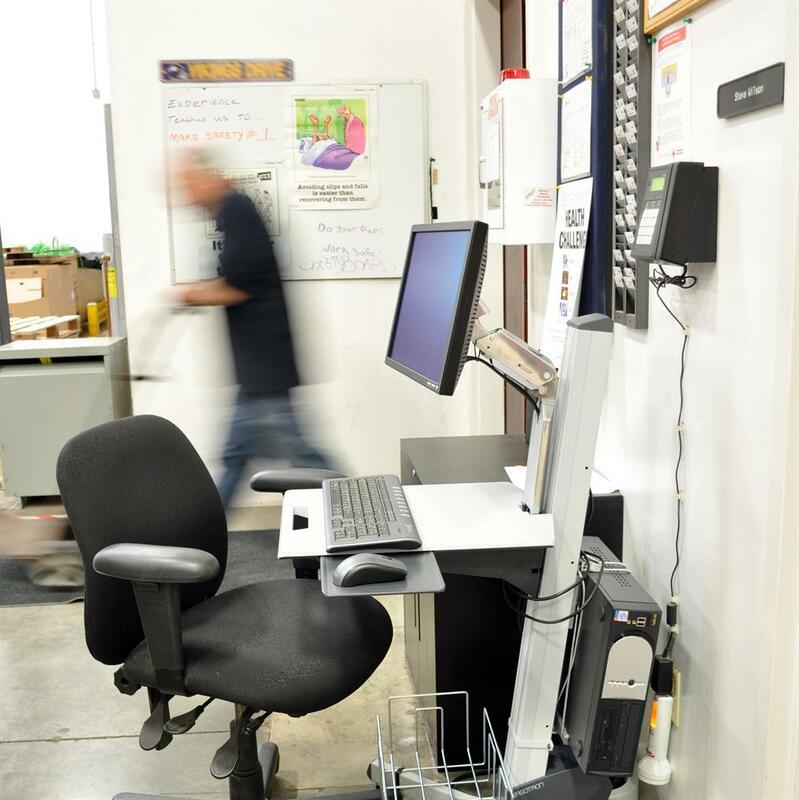 This low-cost, height-adjustable computer cart supports your mobile computing needs today and tomorrow. 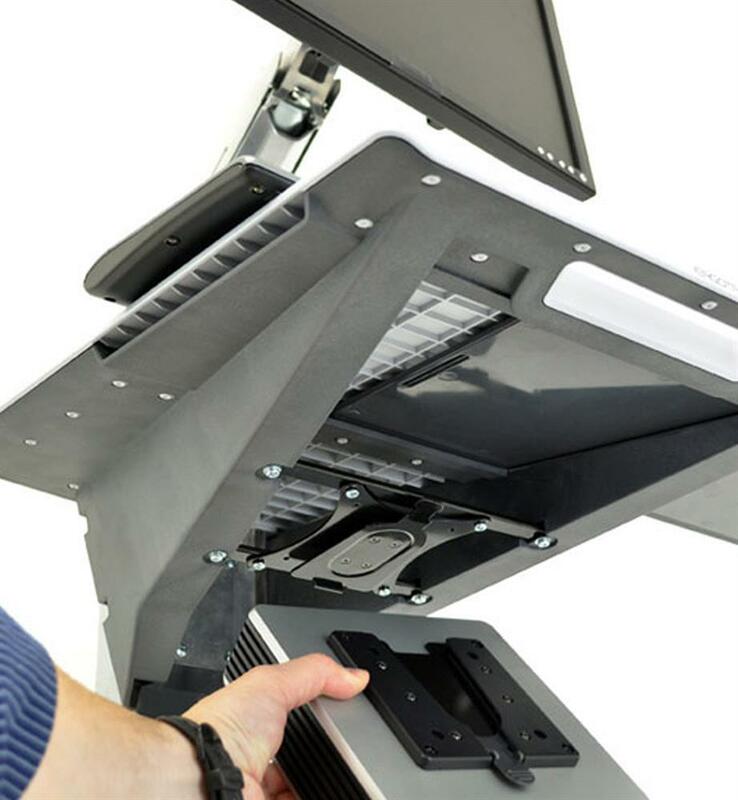 It features a fully adjustable LCD Arm, 27 inches (68 cm) of height adjustment (work sitting or standing), VESA-compliant thin-client CPU holder, large worksurface, small footprint and a rugged, open-architecture design. 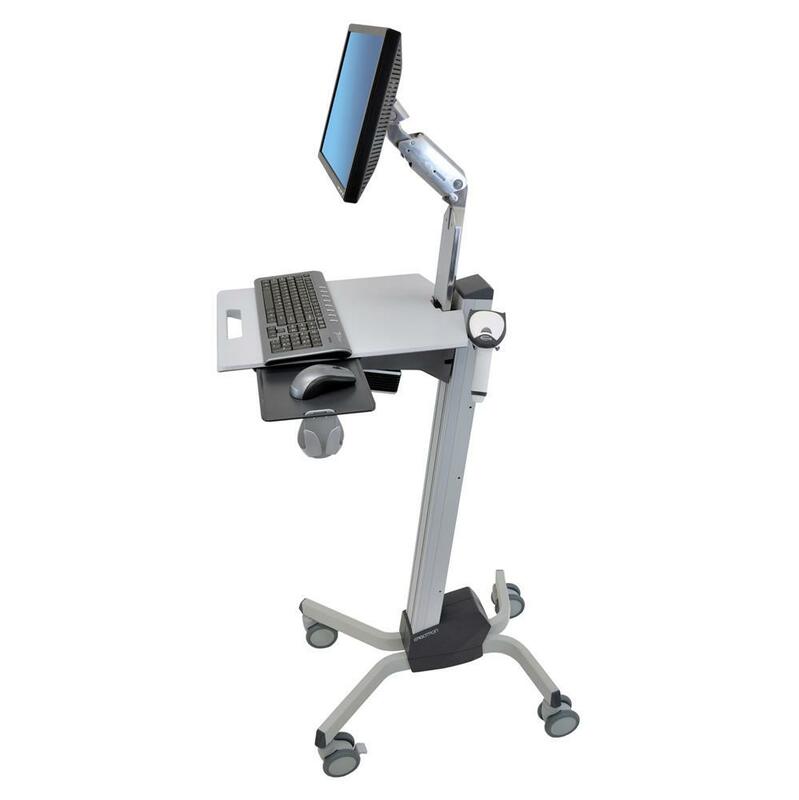 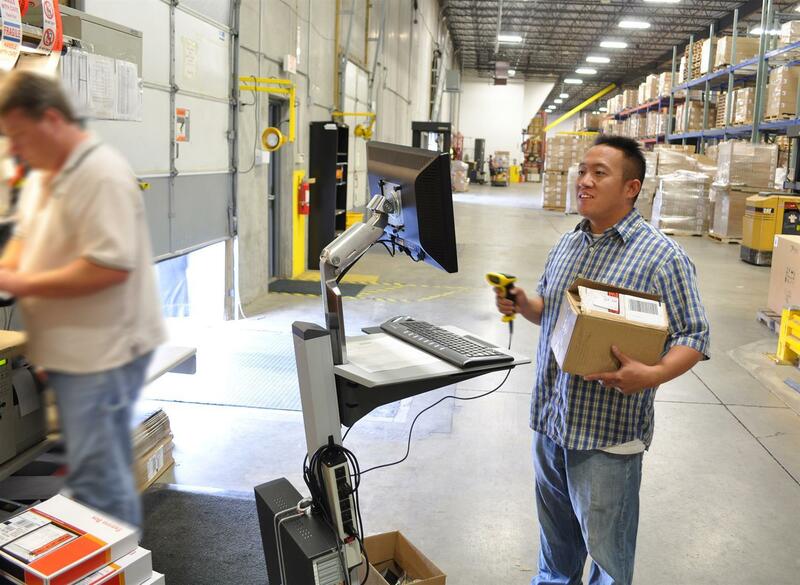 Monitor Size Up to 22"
Weight Capacity Total maxi. 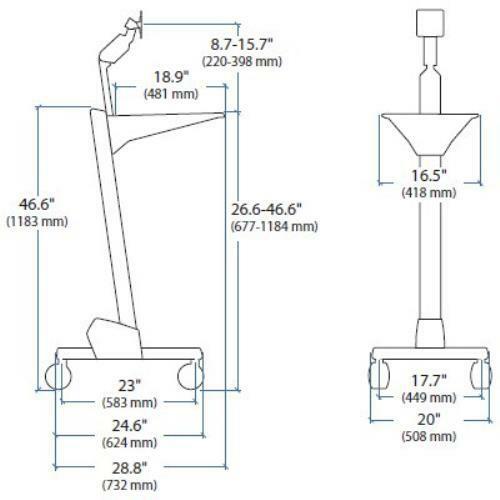 load on height-adjustment assembly=26 lb (11.8 kg). 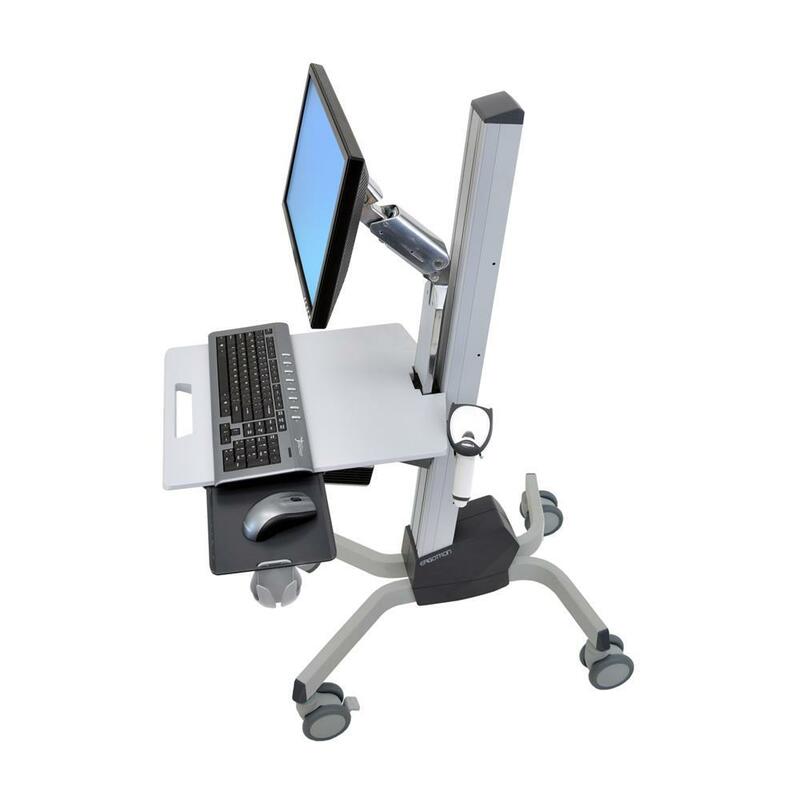 This is the sum of the following components: LCD arm=6–12 lb (2.7–5.4 kg); worksurface, keyboard tray and cable storage area=≤ 6 lb (3.6 kg); quick-release VESA-CPU mount=2–8 lb (.9–3.6 kg). 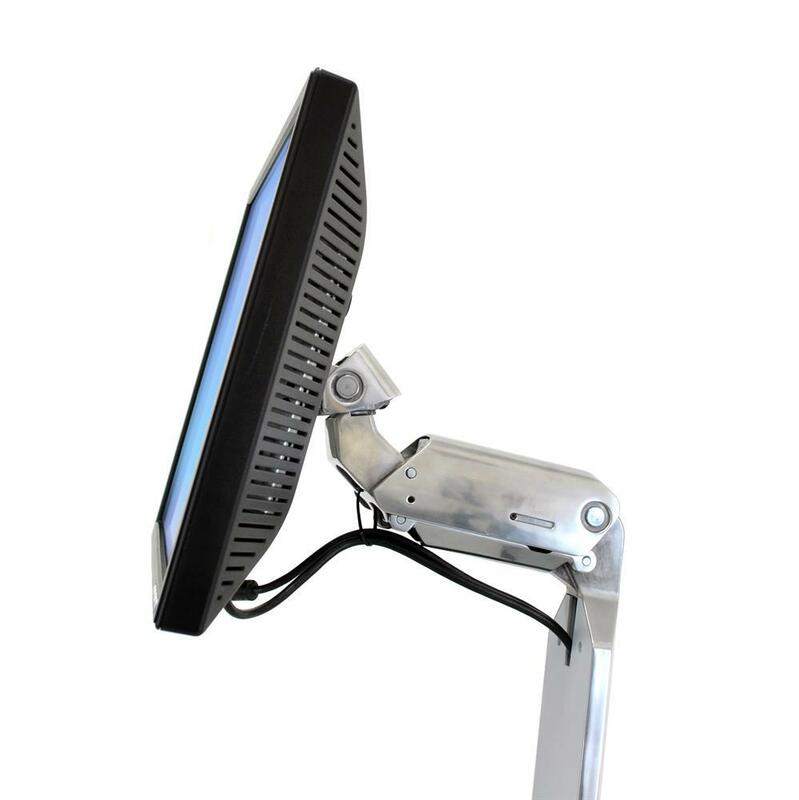 Height Adjustment LCD and worksurface adjust 20" (51 cm) in tandem; LCD arm adjusts 7" (17.8 cm) independently; maximum LCD height adjustment = 27" (68.6 cm).